Well it is taking me awhile to get all of our travels up and on the blog but I think I have resolved to post one or two cities a week so hopefully by the end of the summer our whole trip will be recapped. That's the goal at least. Considering my last post on our trip was over a week ago it's safe to say the goal is not going so well. Oops. Today's stop: Blarney Castle. I think I said at the end of my Guernsey post that the next stop would be Dublin but I forgot we went here first. 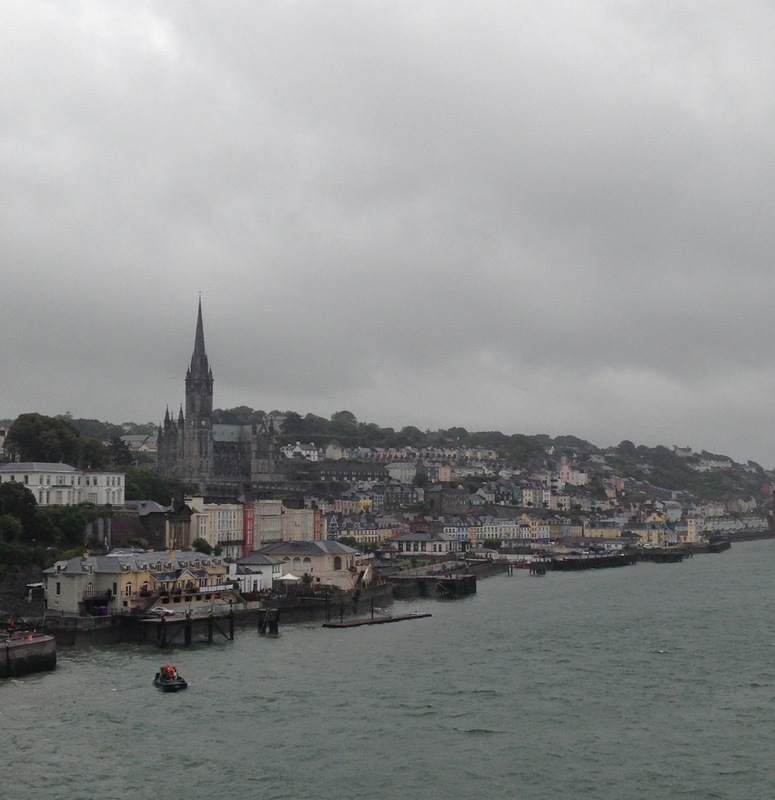 Our ship docked in Cobh (pronounced "Cove"), Ireland and took a bus over to the Blarney Castle which is located just outside of the city of Cork. 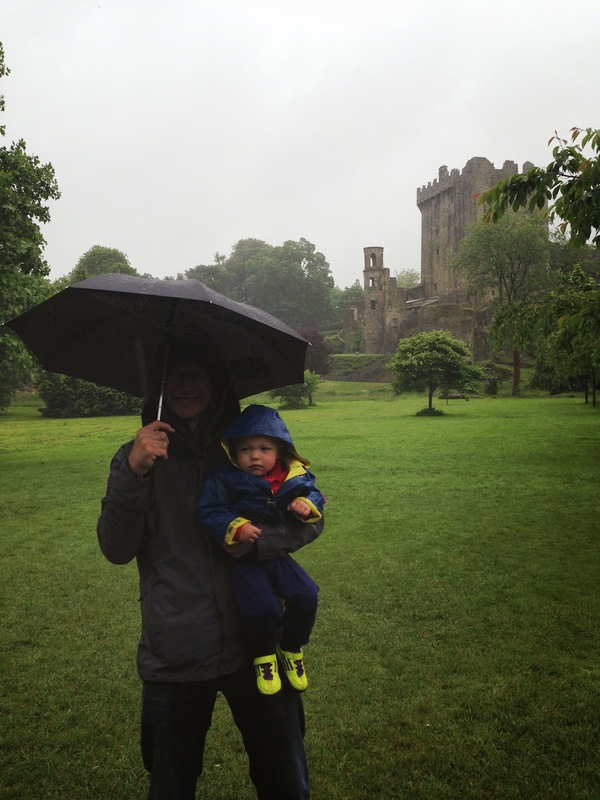 This day gave us the true Irish experience: rain, rain and more rain. Elliot was thrilled as you can obviously tell by the "Mom, what the heck are dragging me to" look on his face. I suppose that's the price they pay for all their lush, beautiful green landscape. 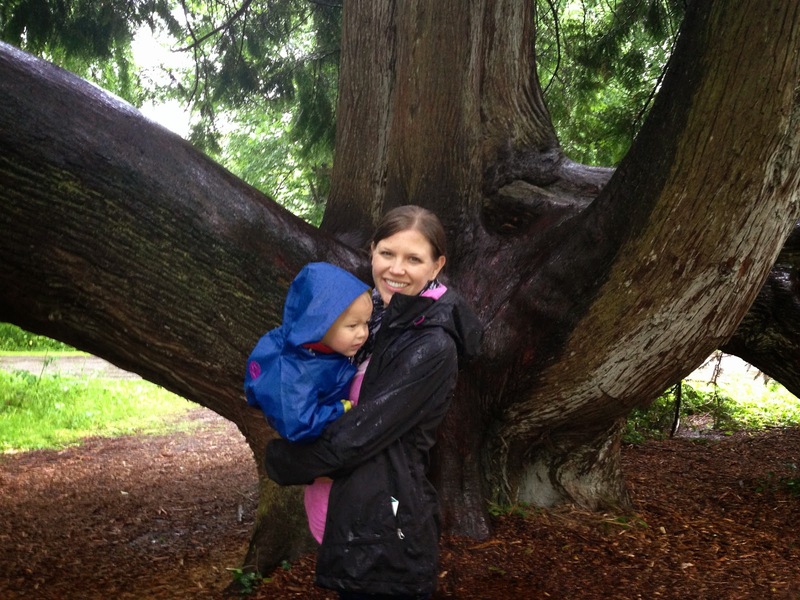 The 25 buckaroos spent on that rain jacket were well worth it for this day alone. 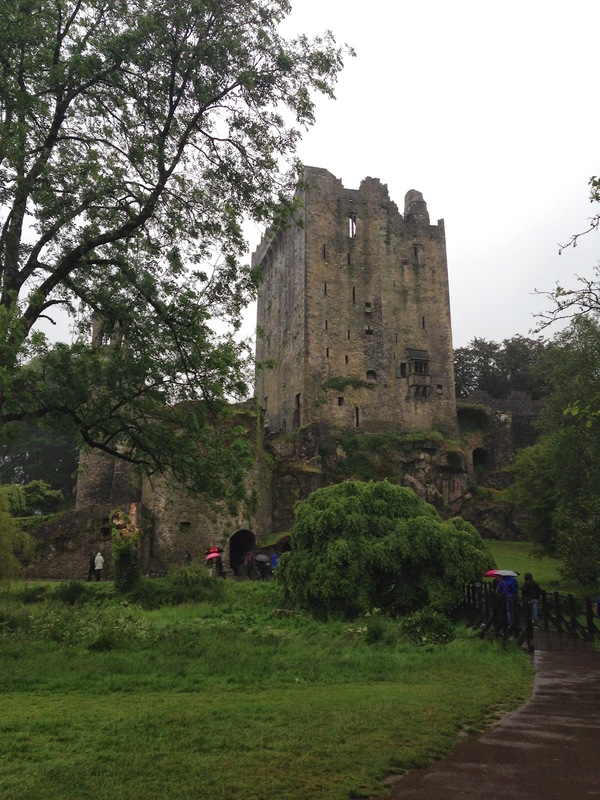 Blarney Castle is in partial ruins and is most famous for being the home of the Blarney Stone. 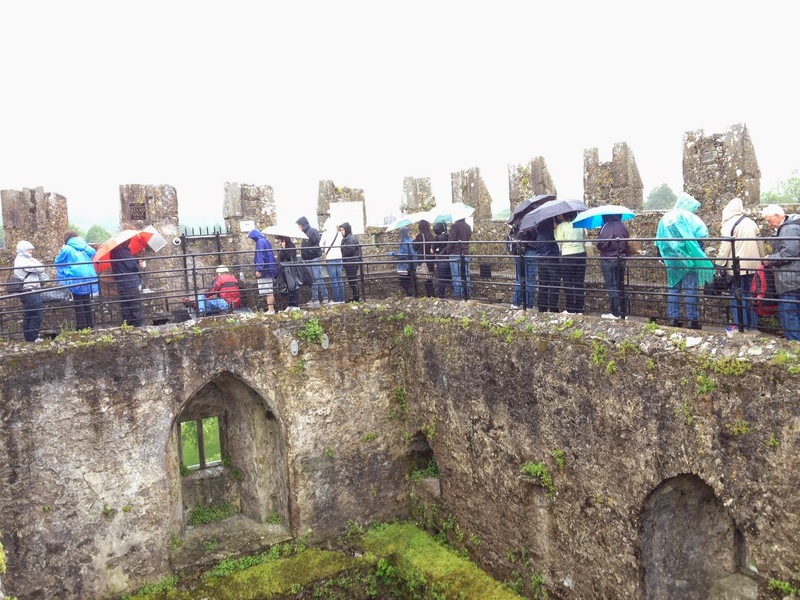 We climbed up narrow and windy medieval stairs, where the footing, at times, had me wondering if that was the best idea being pregnant and carrying my son, but nevertheless we made it to the top where we stood in the rain as we waited our turn to kiss the stone that would give us the gift of eloquence. 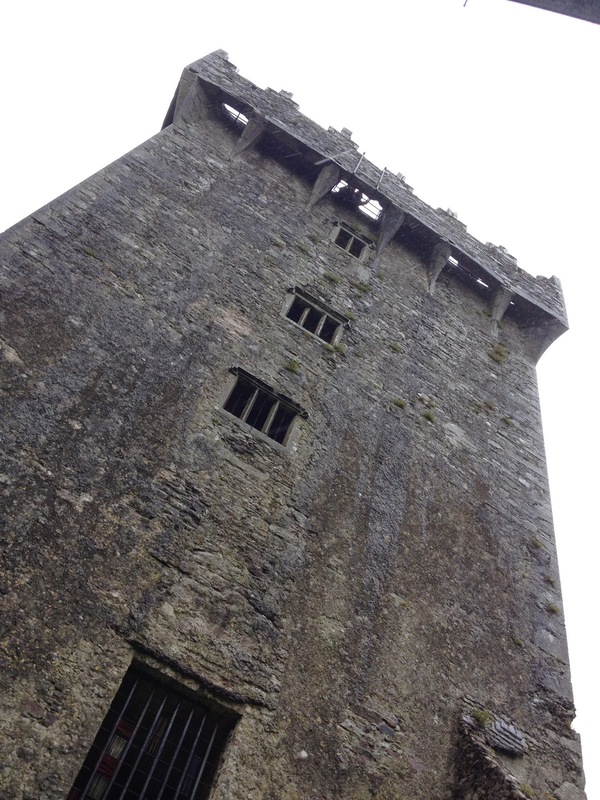 A quote on Wikipedia says that "Blarney is something more than mere flattery. It is flattery sweetened by humour and flavoured by wit." So if you kiss the stone, you too will be blessed with "blarney". 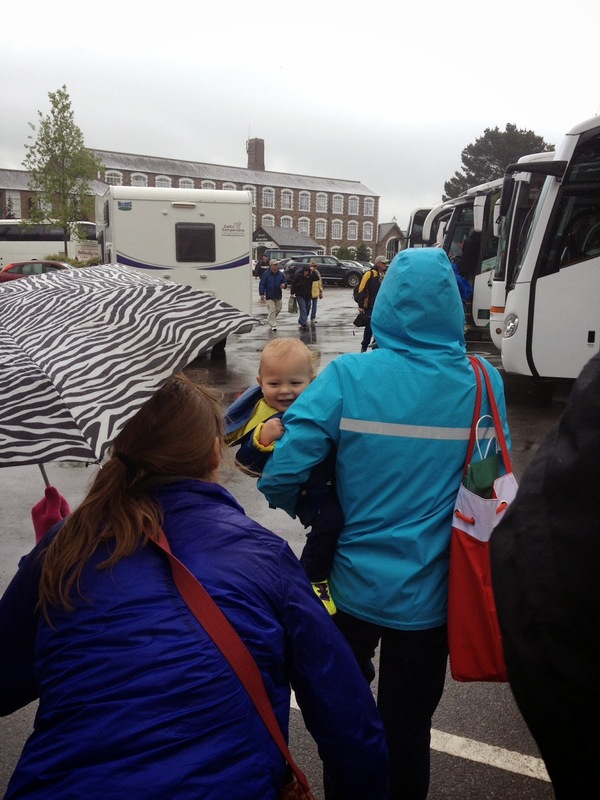 Eli had a death grip on me (he was not a fan of the wet and the cold) so I chose to forgo my chance at having witty and clever speech and let my mom have the honors. Amazingly since, she has become quite the comedian. It's kind of scary once you're up there, and until they installed those iron bars she's holding, it was a rather dangerous feat to kiss the stone. It is positioned in an opening of the castle that originally was used to drop stones and other objects on anyone attacking from below. 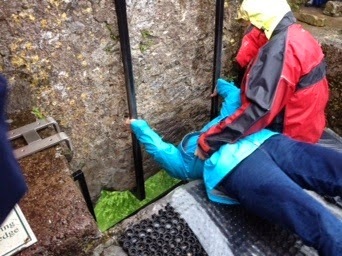 This shot is looking up at the spot of the Blarney Stone and as you can see it's a pretty good gap; someone could easily slip through. Obviously there is a guard and someone there to hold you to ensure you don't fall, but still, it's best you don't really think about what you're doing if you're going to kiss it. There are several gardens surrounding the castle, including a Poison Garden, but we ended up not really seeing them for fear of the ticking time bomb (i.e. Eli) exploding telling us that he had enough. 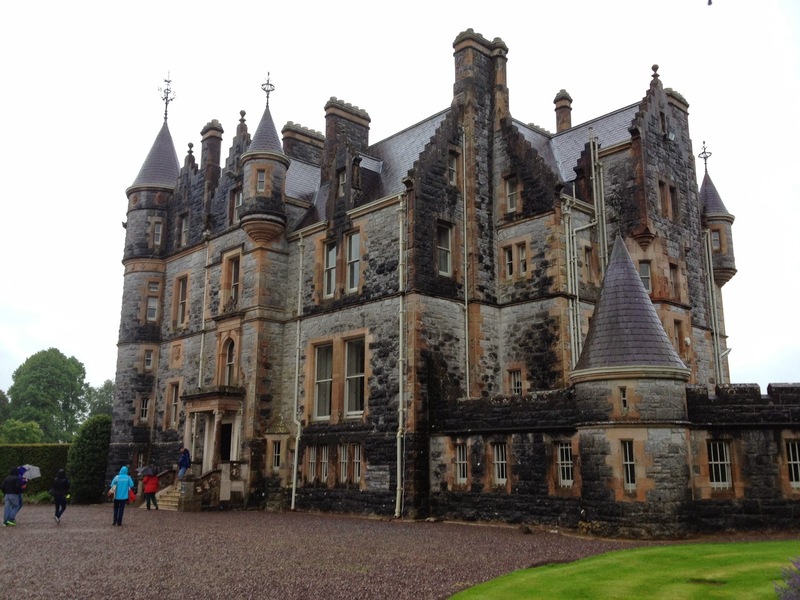 Instead we headed for the only other indoor option on the castle grounds: Blarney House. Blarney House is a mansion on the estate built in the late 19th century. Unfortunately, we weren't able to really see that either as 1. you had to pre-book a tour to go inside and 2. it is a private residence and they don't allow children under the age of 6 (I believe that is the age they said). Back into the rain we went. 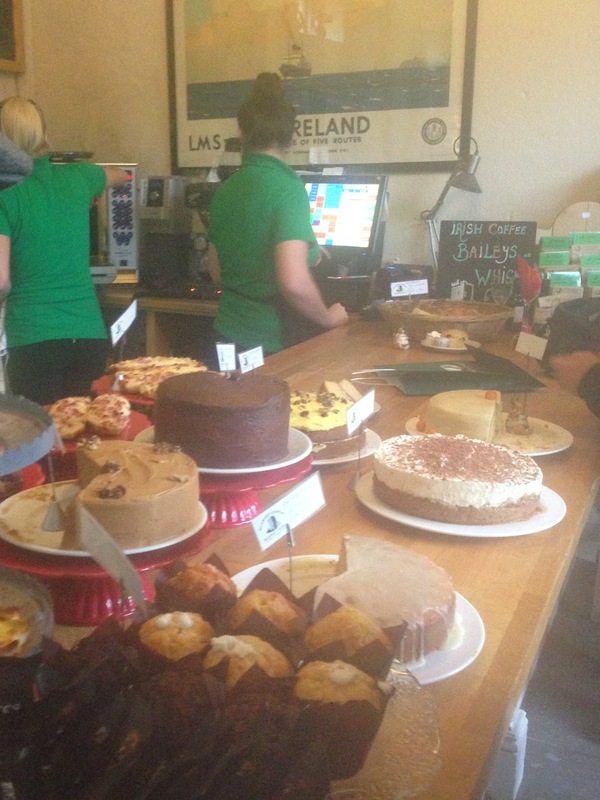 We saw a sign for the Coach House and thought maybe that would be something we could see that would be out of the rain and instead found the Coach House Cafe. Just ignore the smudge on my lens that cast a strange hue on this shot. Amazing Irish Coffee (at least the sip I had of my mom's was amazing) delicious scones with cream and jam and so many great looking cakes, we knew we were exactly where we were supposed to be. 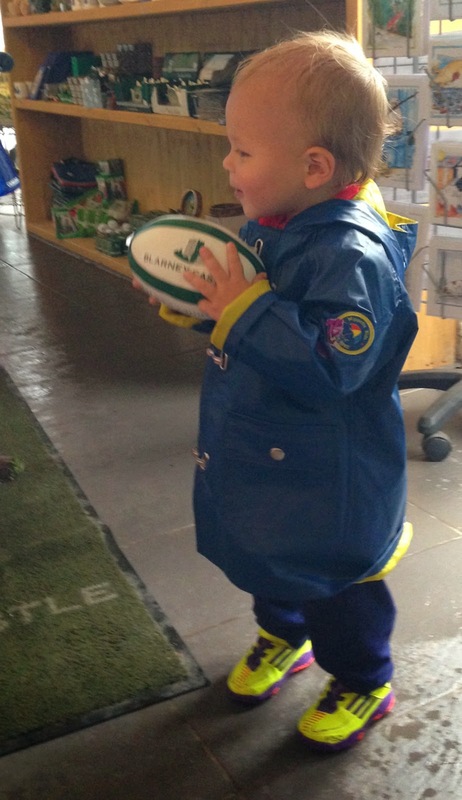 They also had a basket of balls which of course perked my little guy up real fast. 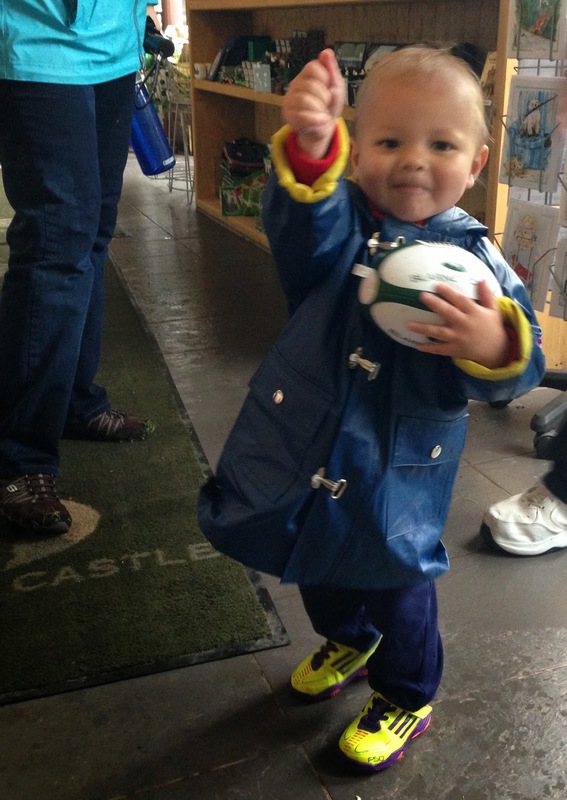 Nonny and Poppy rewarded him for being such a trooper and enduring the rain by purchasing his first, and favorite, souvenir of the trip: a "Blarney Castle" rugby ball. We now officially have almost every kind of ball there is. Not even joking. Basketball? Check. Soccer Ball? Obviously. Tennis Ball? Yep. Golf Balls? I think they reproduce in our home. Baseball? Of course. Football? Got it. Beach Ball? That too. Random balls? Too many to count. Okay, so we don't have a racquetball or a volleyball or a softball but I think we'll survive. 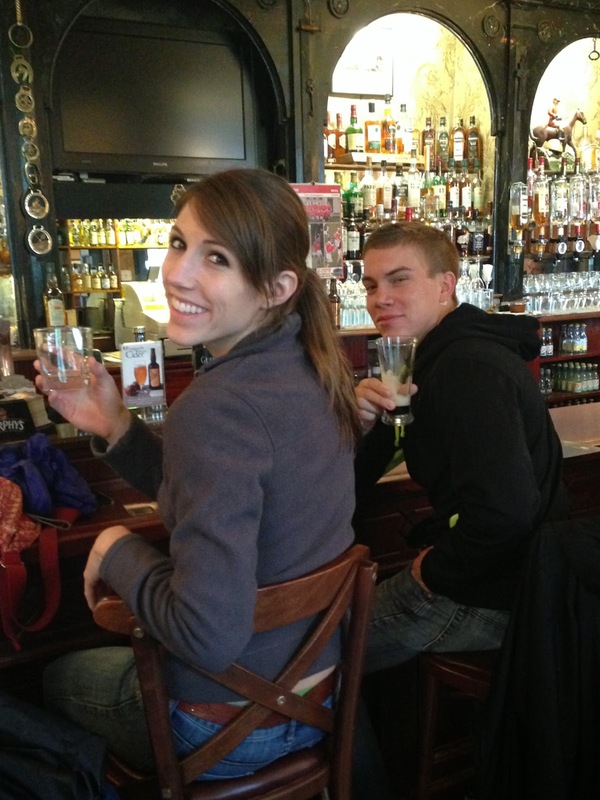 We finished the day watching my sister and her husband have a Murphy's beer and taste gag down some kind of local whisky at a hotel bar. 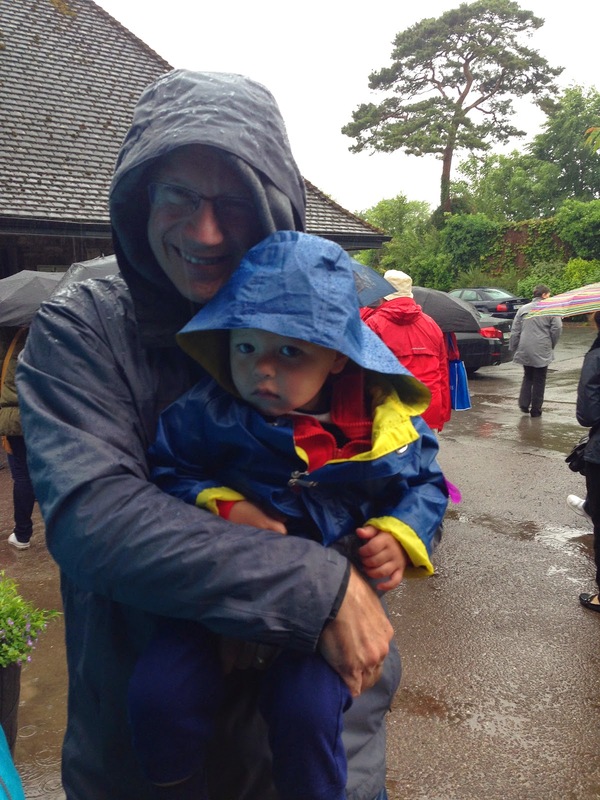 Despite the rain, it was a good day overall that left us all with a smile. Even Mr. Grumpy Pants. Next up: Dublin. For reals this time!